archaeologists and treasure hunters dig – cultural and historical layers usually pop up. Wherever you turn –all reminds you of something from the recent or distant past–fortified walls, viaducts, churches, squares, monuments, and houses – all unobtrusively reminds us of everything that has happened in our country. Few days ago I talked about this with my friend who is a professional restorer and works on projects in Svetoslav Kantardzhiev’s foundation – Mizia, and we discussed the topic of our cultural heritage and the conservation problems it faces. 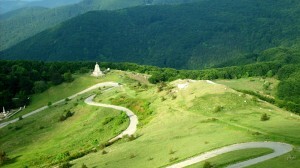 Bulgaria is rich in cultural and historical monuments – monuments reflecting a glorious and centuries-long history. It is no chance that they call these monuments cultural values – and they are values essential to a people’s spiritual and material achievements over the centuries of its existence, these achievements along with natural attractions and resources give us not only pride, but a reason for us to be respected from other nations. Here, however, the question arises do we know how to protect this heritage and keep it. Very unfortunately the answer is not optimistic. There are a number of examples in the cities of Bulgaria, where houses that are obviously monuments and should be restored and repaired are forgotten in an unprecedented way and lose their original character and historic value. There are even cases where vandals desecrate sacred places for the Bulgarian history and usually stay unpunished. Yes, the cultural heritage is the wealth of a nation, it is part of everything we have as pride of our past –but the truth is that like any value, the holder has the obligation to protect and preserve it.